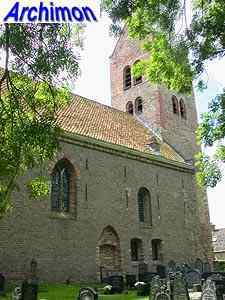 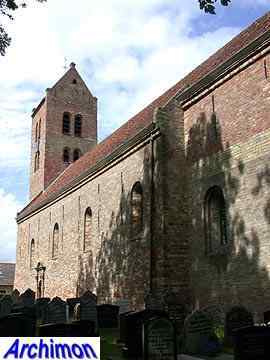 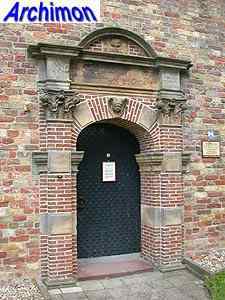 The reformed church of Boazum, or Bozum as the name of this village is in Dutch, was originally consecrated St. Martinus, even though it is sometimes referred to as St. Margaretha. 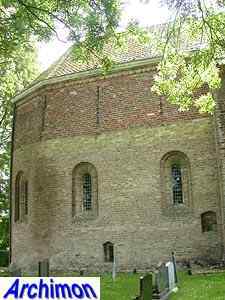 The oldest part of the church is the choir with its semi-circular apse, which was followed by the nave. 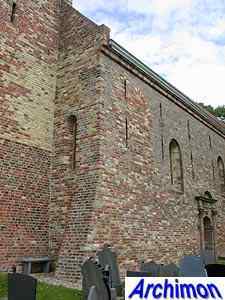 These parts of the church were built in the second half of the 12th century. 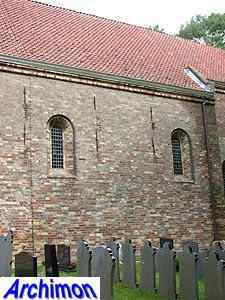 The nave is aisleless, and the choir is slightly narrower. 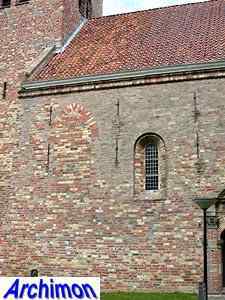 These parts were built out of brick, but the walls were covered on the outside. 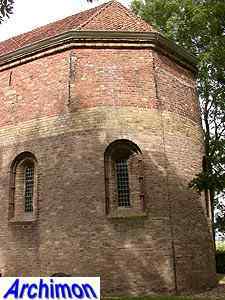 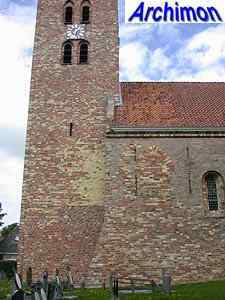 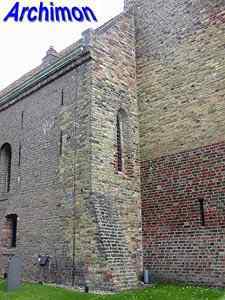 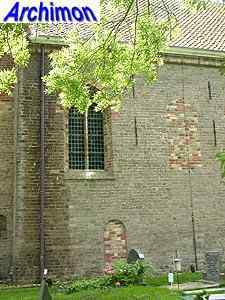 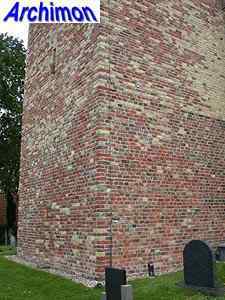 In the second quarter of the 13th century all walls were heightended with bricks, with the apse getting a five-sided upper part. 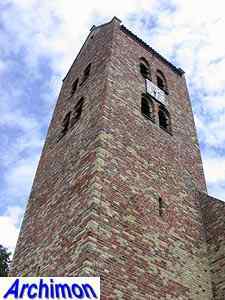 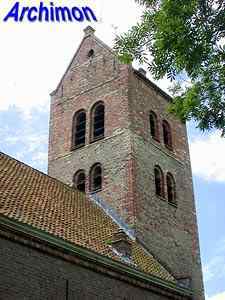 The tower was added at the end of the 13th century. 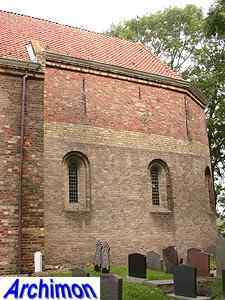 It has a traditional saddleback roof and was heightened once as the two series of sounding-holes indicate. 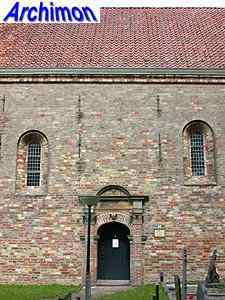 Although generally in Romanesque style, the church has a few features in Romanogothic style, most notably the outside of the windows which are lined with round profiles, and on the inside the typically Romanogothic mellon-vault that covers the apse.